Signing of the Mechanicsburg: City of Peace Proclamation by Mayor Greg Kimball, attended by program initiator Debra Walters. 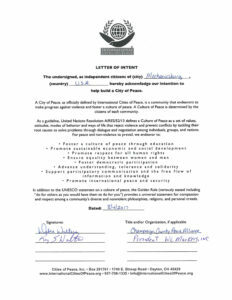 We welcome the citizens of Mechanicsburg, Ohio who have established their community as a City of Peace. 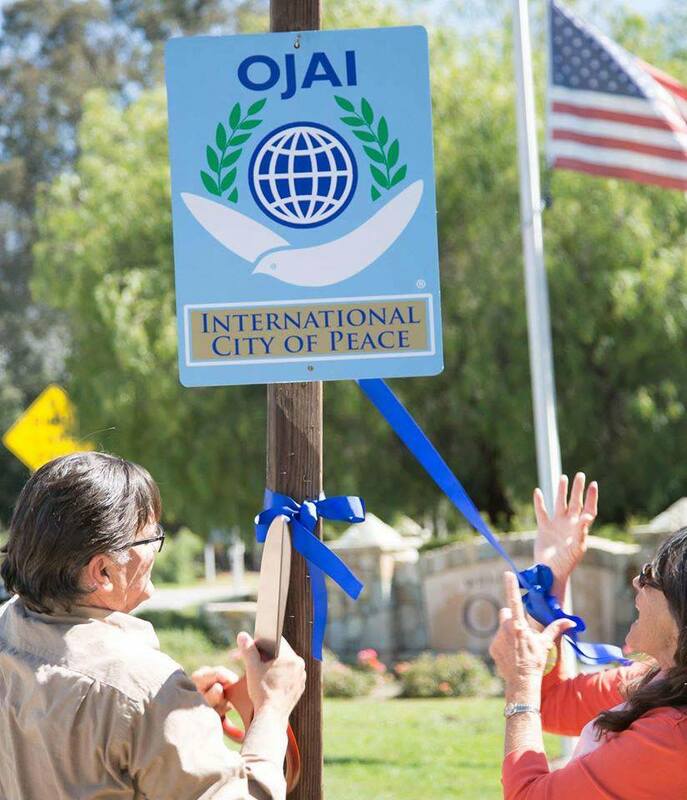 The city of peace initiative was born in the Mechanicsburg by Debra Walters and her colleagues. 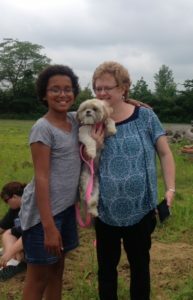 Debra is active in animal rights and other peace building programs. 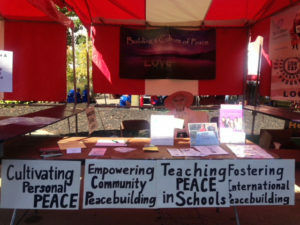 Booth at the Springfield Culture Festival, 2017, presented by the Clark and Champaign Counties Peace Alliance. 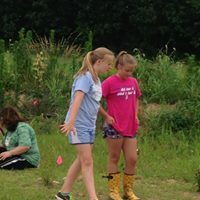 One great start in teaching peace at Mechanicsburg Schools, according to Debra, is the Life Skills Program, a circle based group of students held once a week. This 3 step program starts in the middle school and gives students the opportunity to discuss issues on coping with anger, resolving conflicts and making good decisions among many other issues with which students deal. 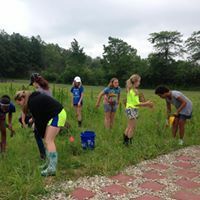 In June, 2017, 4H Club Pens, Pans & Needles volunteered their time by working in the garden at Champaign County Animal Welfare League. 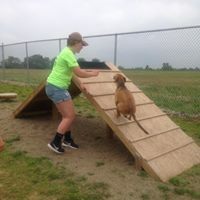 They loved their reward of playing with the dogs on the agility course. 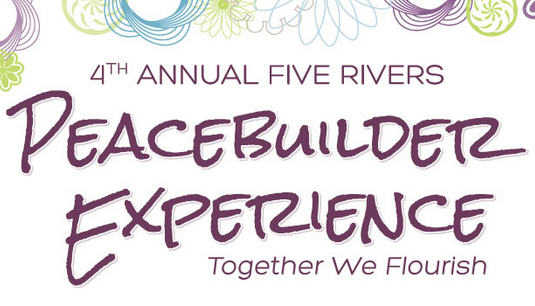 Empower civic engagement toward a culture of peace in the Mechanicsburg community. 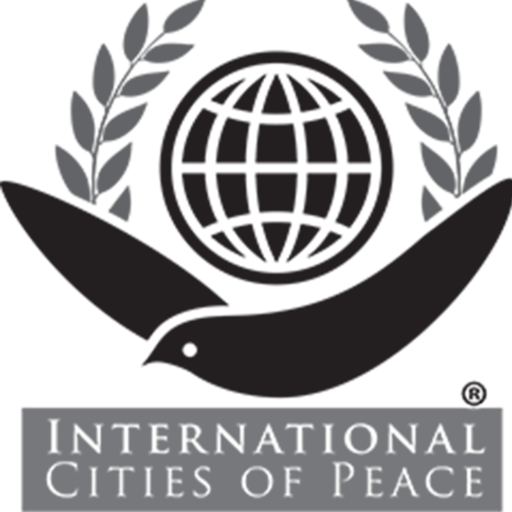 Inspire and provide resources to three of the cornerstones of The Peace Alliance; Empower Community Peacebuilding, Cultivate Personal Peace, and Teach Peace in Schools. 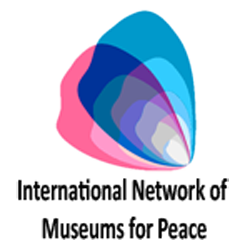 Publish letters and articles in the local Telegram newspaper supporting monthly actions supported by Peace Alliance and School Peace actions. 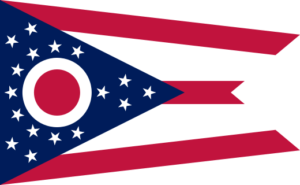 Support events and collaborate with The Clark County Peace Alliance and The Peace Dayton Collaborative Group. 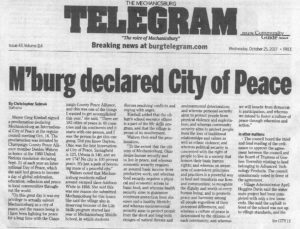 Newspaper articles on signing of the Mechanicsburg, Ohio: City of Peace Proclamation. Goal # 1 Prioritize student learning and achievement for ALL Students. 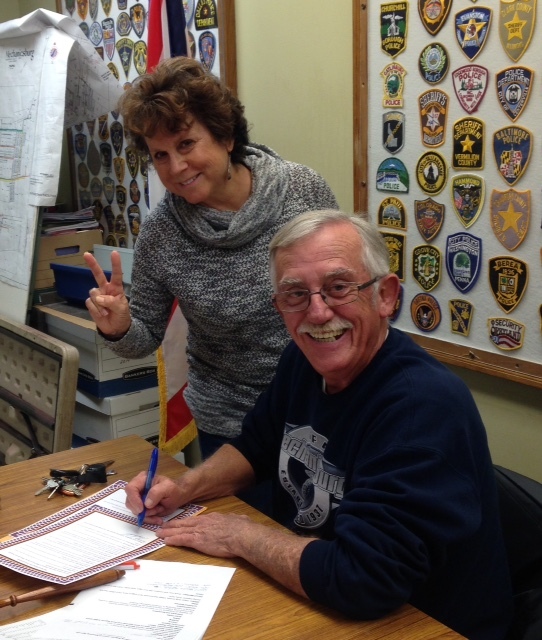 Goal # 2 Maintain a fiscally responsible and stable school district. Debra Walters is the Assistant Treasurer at Mechanicsburg School. 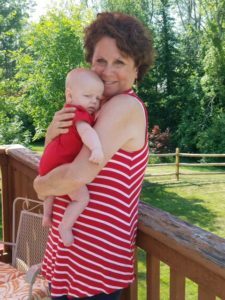 She is married to her supportive husband Steve and has 2 adult children Kyle and Melissa, 3 dogs Willie, Gracie and Sammie, and is a newly grandmother to Parker Thomas Nott. 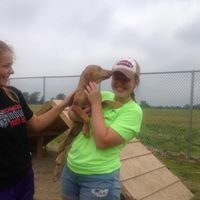 She is a volunteer, volunteer coordinator, event coordinator and board member for the Champaign County Animal Welfare League. 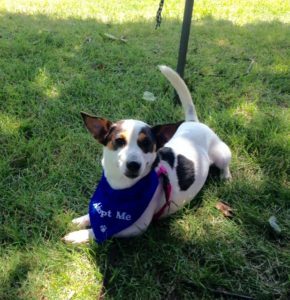 Debra’s passions are animals, peace and the environment. The Champaign County Peace Alliance was formed around 2012. 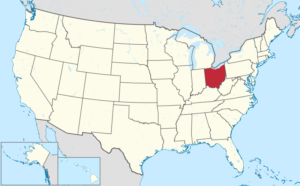 In the early days they met monthly at the Urbana Methodist Church, grew to about 20 members, marched in a few parades, shared a booth at the county fair, set up a booth for Job Fair for Mechanicsburg middle and high schools, and participates in the annual Mother’s Day Pie Campaigns where meeting with the staff of Portman, Brown and Jordan asking for their support for small piece for peace and The Youth Promise Act. 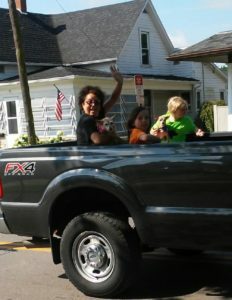 Debra participates in the Alicia Titus Peace Walk and The Springfield Peace Alliance for John Legend Peace Hero. 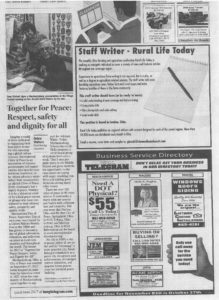 Debra has listened to many inspiring and amazing stories from speakers and writers, participates and support actives at the Dayton Peace Museum and has had all her (action) letters to the Editor for Urbana Daily Citizen and Mechanicsburg Telegram published. 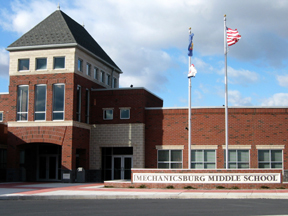 Last summer Debra listened to the Teaching Peace in Schools 9 week seminar and shared some material with the Mechanicsburg middle school principal. 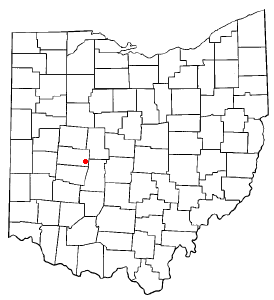 Mechanicsburg is a village in Champaign County, Ohio, United States. 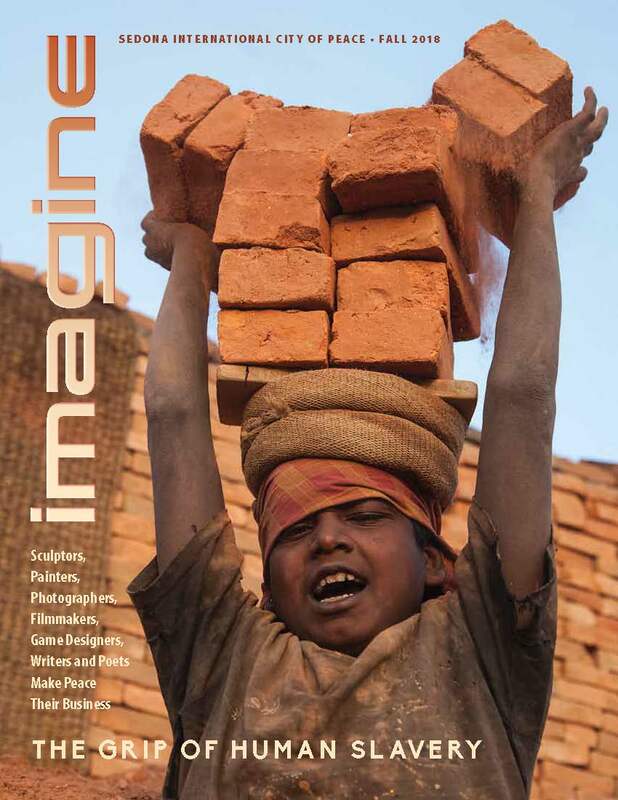 The population was 1,644 at the 2010 census.